Lacing wrapped around ankles or up to the knees is one of the season's hottest trends, and these soft suede sandals do it right in crisscross suede straps with long ties. A cushiony footbed and manmade sole add comfort details. 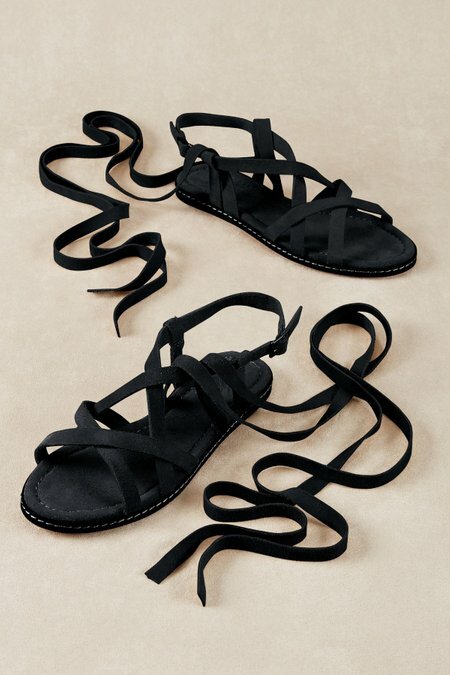 Essential additions for an up-to-date summer shoe wardrobe. 1/2" heel.